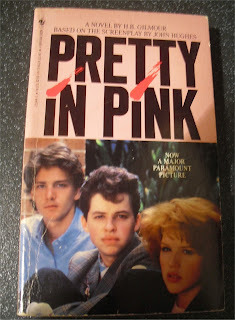 Alexa played Jena Hoeman, Andie's friend from school in Pretty In Pink. The character is probably most well known for retorting to the rich kids "I hope they shrivel up and fall off." Alexa Kenin died before the film was released, aged 23, and receives a dedication in the credits. Very little information about her death exists. Only the odd newspaper line "...died in her apartment in Manhattan... the cause of death was not immediately known"
Various rumours and theories have surfaced suggesting an allergy, a boyfriend, or a crazed fan could have been responsible.